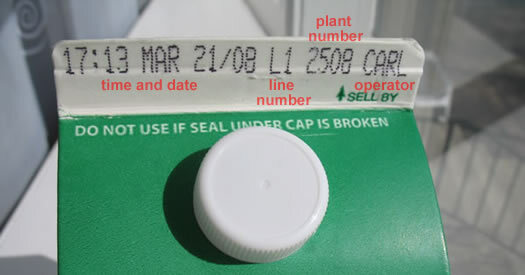 After talking with one of our Dairy associates, I found out the system behind the coding at the top of your Milk Carton. Carl was the operator who was in charge at the time your Milk was put into the carton. According to the associate, this is a fairly new step that has been implemented for Quality Assurance purposes. So, there you go. 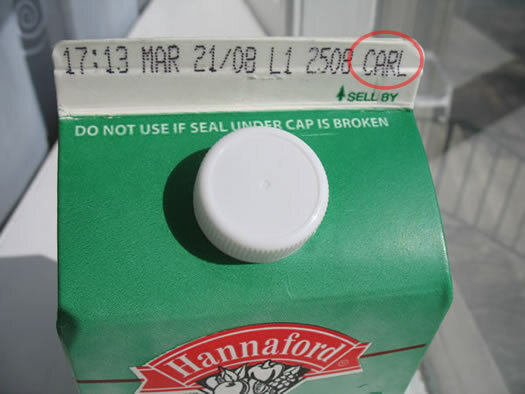 If you're happy with your milk, thank Carl. And the cow. Whatever her name might be.